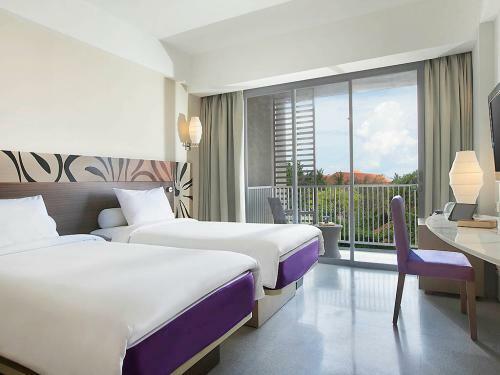 Set in a modern property, this chic, contemporary hotel is a 4-minute walk from Benoa Tirta Harum Dive and Watersport center and 12 km from Garuda Wisnu Kencana Cultural Park. Featuring stylish decor with colorful, mid-century details, the modern rooms provide flat-screen TVs, free Wi-Fi, and tea and coffeemakers. 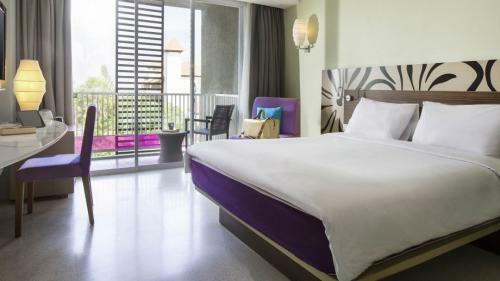 Upgraded rooms offer balconies and minifridges, and suites add living rooms. Room service is available. Breakfast and parking are included. 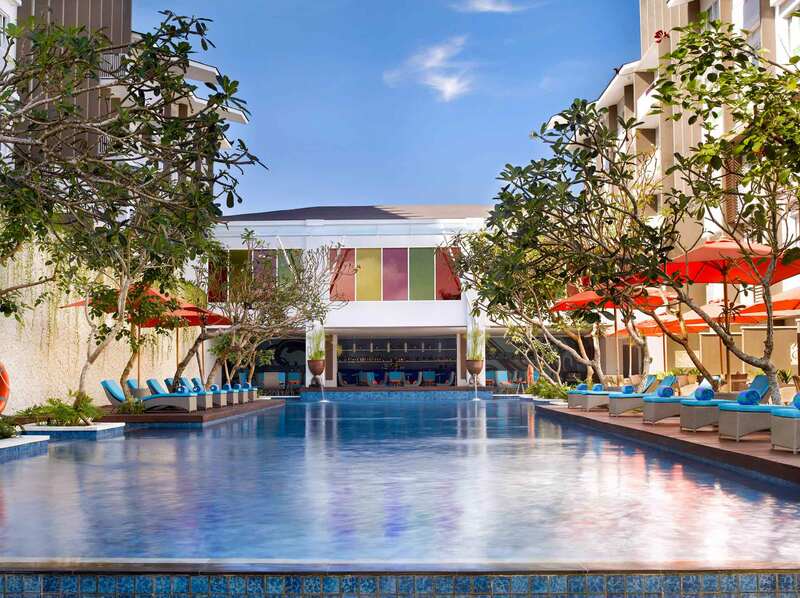 Amenities include a bright bar/restaurant with terrace seating, a fitness center and 4 conference rooms, as well as an outdoor pool and a private beach within walking distance of the hotel. 1 Queen or 2 Twin Beds (by request, based on availability). Colorful and Modern designed 258 sq. ft. (24 m²) rooms, most of them overlooking the pool. Rooms are equipped with LCD TV screen, Safety deposit box, Fridge, Tea and Coffee making facilities and free WIFI Internet access. 1 Queen or 2 Twin Beds (by request, based on availability). Colorful with Modern design, 258 sq. ft (24 m²) with Balcony. Equipped with LCD TV screen, Safety deposit box, Fridge, Tea and Coffee making facilities and free WIFI Internet access. One Queen bed. Specifically designed for families with kids. 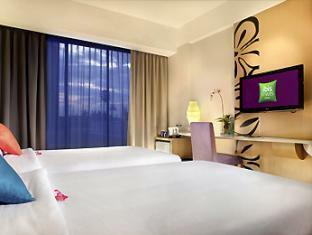 Featuring Colorful & Modern designed rooms, 34 m² (366 sq. ft) in size, 1.50 meters bunk bed, balcony, living room with sofa, 32" LCD TV, safety deposit box, mini fridge & WiFi access.